In honor of Madeleine L'Engle's 100th Birthday, fans are invited to enjoy this archival audiobook, originally recorded in 1993 and newly restored! 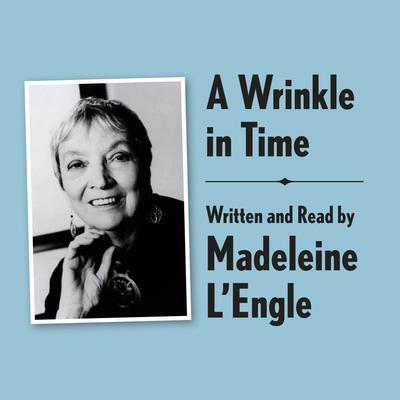 Listen to the voice of the author, as Madeleine L'Engle reads her Newbery Medal-winning novel, A Wrinkle in Time. Meg Murry, her little brother Charles Wallace, and their mother are having a midnight snack on a dark and stormy night when an unearthly stranger appears at their door. He claims to have been blown off course, and goes on to tell them that there is such a thing as a "tesseract," which, if you didn't know, is a wrinkle in time. Meg's father had been experimenting with time-travel when he suddenly disappeared. Will Meg, Charles Wallace, and their friend Calvin outwit the forces of evil as they search through space for their father? Bridging science and fantasy, darkness and light, fear and friendship, the story has become a classic of children's literature and is beloved around the world.